Have you ever had to mend one of your own me-made creations? Bummer. 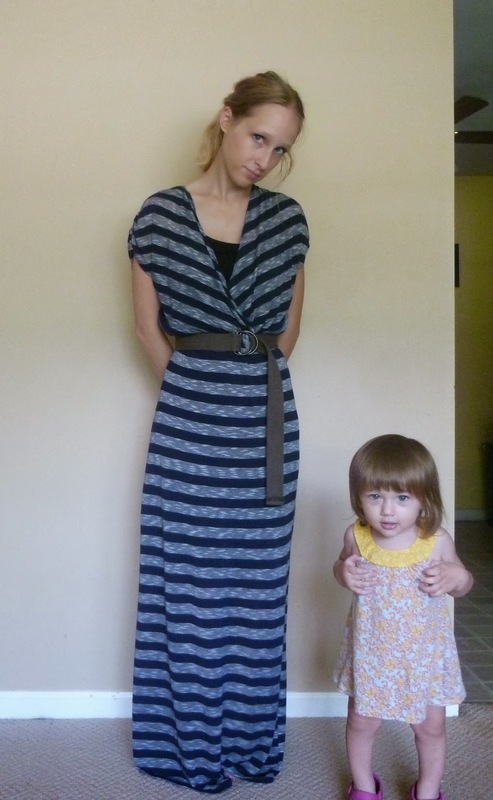 Remember my first maxi dress? It was super long, so when I hemmed it I had a lot of extra fabric to trim. I seem to recall talking and gesturing and not paying attention to what I was doing...and snip. A hole in the bottom of the skirt. 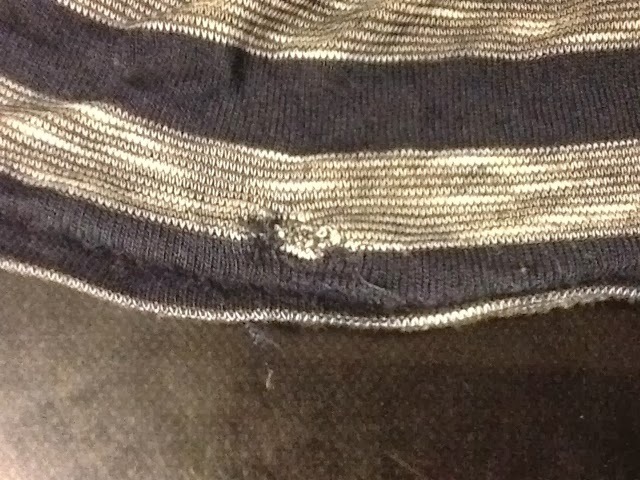 Nothing like "finishing" a garment and immediately ruining it. It took me a few weeks to get around to it, but this was an easy repair. Not that pretty, but easy. This particular knit is very lightweight (sheer, if you want to know the truth) and it did ravel a bit. To prevent the hole from getting worse, I cut a small scrap and laid it over the hole's wrong side. 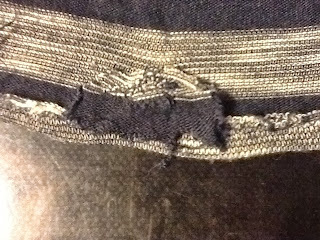 Because this is a striped fabric, I carefully positioned the scrap so that the stripes would match. Using a coordinating thread, and working with the right side up, I zig-zagged around the edges of the hole to secure the dress to the scrap, then trimmed off any excess. 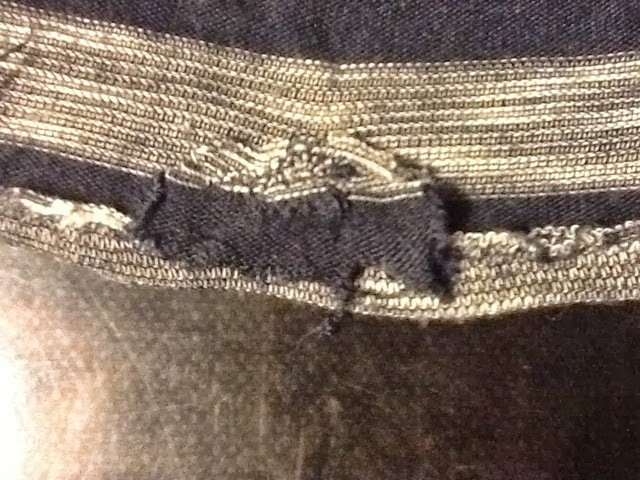 Since this repair is in the hem of the garment (which is typically on the floor) it's more of a structural fix than a cosmetic one. I didn't want to step on the hem and hear a pleasant riiiiiiiiiip. So far so good! Have you been doing any repairs lately? Time to pull out those winter clothes and check for damage!